Here at Classic Lawns we do not take ourselves too seriously. We wanted to have a fun, light hearted way to point out and explain problems with your lawn. 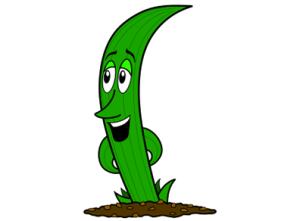 So, we came up with GRASSMAN. 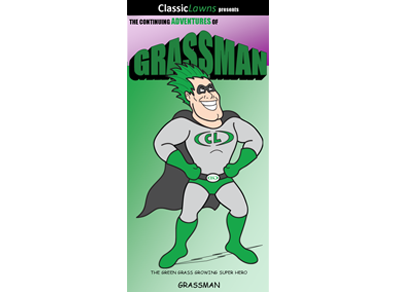 GRASSMAN is a superhero that is using his Classic Lawns’ super powers to protect the cities lawns from any evil invaders! He has many adventures. He fights off many foes and he meets a few friends along the way. The best place to find our awesome superhero is on Facebook! Tune in every Friday & Monday afternoon on Facebook for new and exciting adventures! Friday’s episode usually finds our superhero trying to fight off an evil lawn invader. Will your lawn be destroyed? Will GRASSMAN save the day? Will our superhero prevail? Tune in every Monday for the exciting conclusion. 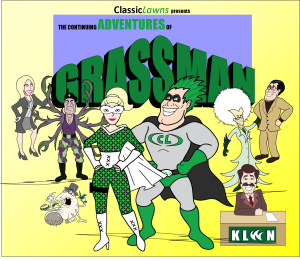 Check GRASSMAN out on Facebook right here! At Classic Lawns, we hope you enjoy The Continuing Adventures of GRASSMAN. Hopefully, you are entertained, laughed once or twice and maybe even learned a little something about lawn care! Now go tell all your friends about GRASSMAN and be sure to “LIKE” us, share our posts and videos and sign up with Classic Lawns!